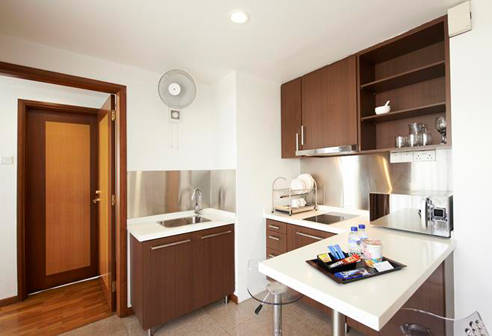 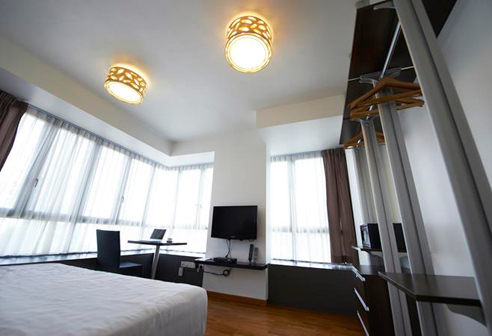 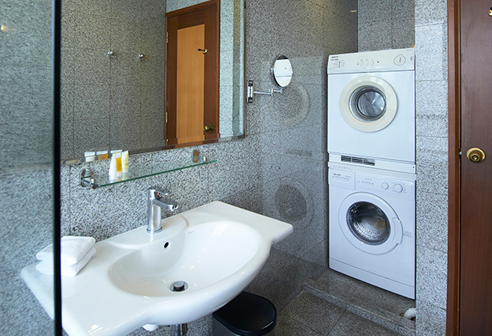 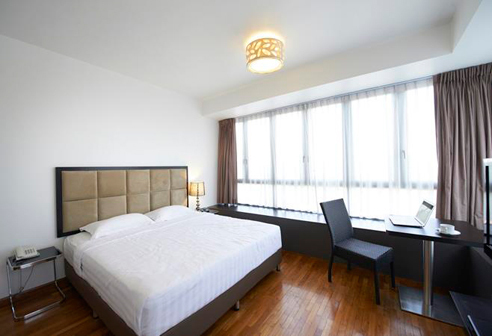 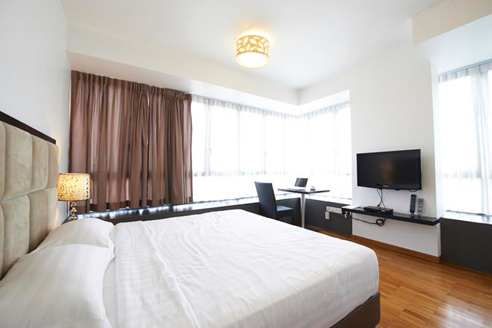 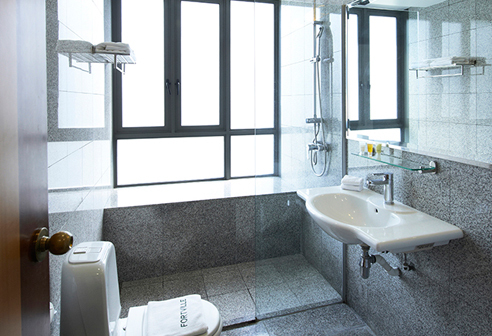 Fortville Studio C - Serviced Apartments are the studio with the biggest bedroom in Fortville Singapore. 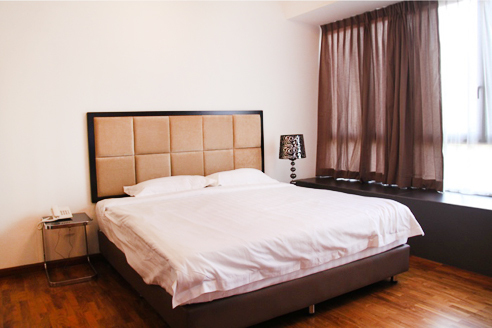 The bedroom comes with a king size bed and working table, it also has a dining area and open concept kitchen. 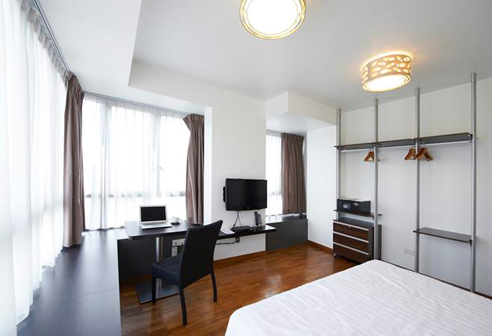 This Serviced Apartments are ideal for guests who seldom cook and want a small office home office concept space.